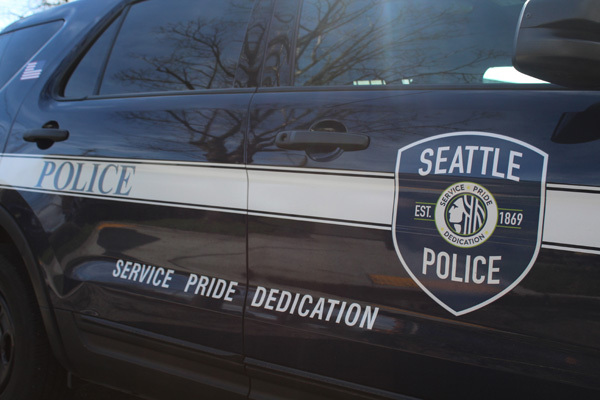 A 33-year-old Seattle man arrested for allegedly waving a gun around outside the Red Onion last month is facing a charge of unlawful possession of a firearm in the second degree. A police report states Erik D. Wilson was drinking with a friend at the Madison Park tavern on the night of May 11. Wilson was reportedly upset five of his friends had been killed in gang-related shootings, according to court documents, and was said to be a member of the Deuce 8 gang. He also had a warrant out for his arrest for failing to appear in court on April 20 for a charge of indecent liberties (forcible compulsion). Stemming from that charge, Wilson was not allowed to possess a firearm under a sexual assault protection order, according to court documents. Wilson allegedly attempted to drive home from the Red Onion Tavern, and the man’s friend and other witnesses attempted to stop him. Wilson has a 2012 DUI conviction, according to court records. He was able to get into the car he arrived with, but his friend reportedly blocked the vehicle. It’s at this point that witnesses say Wilson pulled out a firearm, prompting them to go back inside, according to the police report. Officers responded around 10 p.m. to multiple 911 reports of an intoxicated man with a gun. Wilson was detained, and officers allegedly spotted what looked like the handle of a handgun on the front-seat floorboard, according to the police report. Officers contacted the owner of the vehicle, who identified herself as Wilson’s roommate. The report states she gave officers permission to search her vehicle, where they found a FN 5.7 handgun with a 30-round magazine and a bullet in the chamber. The handgun is uncommon, according to the report, and can “fire bullets that can defeat most types of soft body armor.” Officers were unable to identify the source of the firearm after running the serial number, the report states. Wilson was arraigned on May 30, and jail records show him still in custody on a combined $145,000 bail.